A recently released autopsy shows that a 7-year-old girl sustained 20 gunshot wounds after being shot and killed in her sleep. 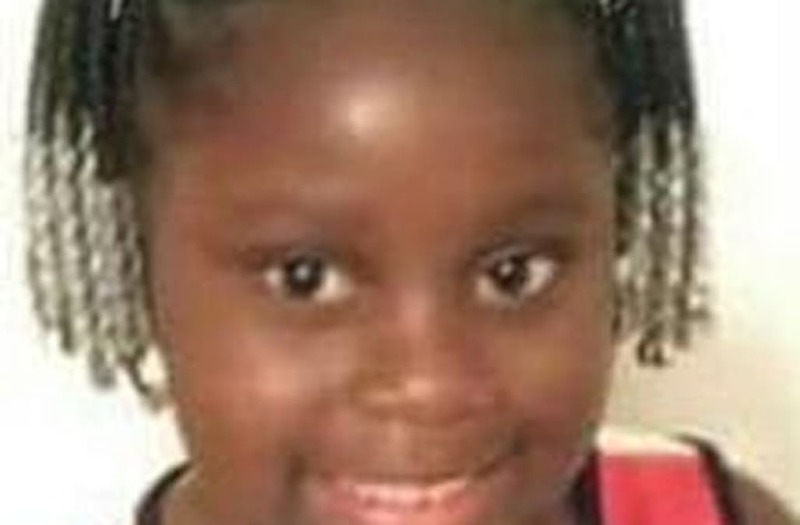 A'yanna Allen was shot while sleeping in the same bed as her grandmother at their home in Salisbury, North Carolina on Sunday, Dec. 4. Allen's grandmothers, Shirley Robinson, was admitted and released from the hospital later Sunday. Allen was pronounced dead at the scene. The medical examiner's report documented that Allen had suffered gunshot wounds to the toes, legs, abdomen, back, head and chest. West Virginia may rank low in terms of overall gun control, but in 2015 Democratic Gov. Earl Ray Tomblin vetoed a bill that would have allowed people to carry concealed weapons without a permit. The relatively lax firearm laws in Indiana have led some to link them to gun violence in Chicago. New Hampshire requires handgun dealers to obtain a state license, but does not extend the rule to dealers of rifles and shotguns. Nebraska differs from many states in that it gives local jurisdictions some control over firearm regulations. Following the Virginia Tech shooting in 2007, the state took greater measures to report mental health records and prohibit sales of firearms to any person who has been "adjudicated as a mental defective." Ohio does not prohibit the sale of assault weapons nor limit the number of firearms that may be purchased at one time. In a major blow to gun control advocates, Republican Gov. Scott Walker repealedthe state's mandatory 48-hour waiting period for handgun purchases in 2015. Iowa took steps to tighten gun control when it enacted child access preventionrequirements upon gun owners. While Colorado requires licensed firearms dealers to process background checks, it does not impose limits on the number of firearms that may be purchased at one time. Michigan gun control laws require firearm owners to report handgun purchases and theft of any firearm. Oregon greatly strengthened its firearm regulations in 2015 when it enacted laws requiring background checks for all firearm purchases. Compared to other solidly Democratic states, Pennsylvania's gun control laws are relatively lax, with no requirements for firearm owners to obtain licenses or register their weapons. Although federally licensed firearms dealers must initiate background checks, Minnesota does not require private sellers to do so. Washington requires all firearm dealers to obtain a state license, but does not mandate that individuals register their weapons. Delaware has relatively strict gun control measures, including mandatory background checks and purchase restrictions on domestic violence misdemeanants. Rhode Island may have comprehensive gun control measures overall, but it stilldoes not prohibit the transfer or possession of assault weapons. In addition to requiring background checks, Illinois has instituted some design safety standards for handguns. In 2014, Hawaii had the lowest number of firearm-related deaths per 100K people. Gun regulation advocates have attributed this to its tight gun control measures. New York enacted major gun control reforms in 2013, including an expansion of the assault weapons ban and requirements for ammunition dealers to conduct background checks. Following the New York reforms, Massachusetts passed a comprehensive gun control bill in 2014 that increased firearm regulations. Among Maryland's firearm regulations are a ban on the transfer of certain assault weapons and a mandatory seven-day waiting period prior to the physical transfer of a firearm. Republican Gov. Chris Christie may have shifted to the right on the issue of gun control, but his state still has some of the tightest firearm regulations in the country. Connecticut's extensive gun control laws require firearms dealers to obtain a license and mandate background checks for all firearm sales at gun shows. California takes the top spot as the state with the strictest gun control measures. Among the regulations in place are required background checks and limitations on the number of handguns an individual can purchase each month. Robinson told WSOC TV the shots came through the bedroom window. Robinson says she and Allen would sleep in one bedroom in while he nephew occupied the living room at the time. "All I could hear was pop, pop, pop, pop, pop, pop," Robinson said. She also said she was unaware that she had been shot in the leg before calling 911 upon realizing her granddaughter was fatally wounded. Her nephew remained unharmed. "That was a 7-year-old child," Robinson said. "Innocent. We were laying in the bed asleep. What are we going to be doing at four or five in the morning? We were asleep and here comes the devil." Though Warren received 20 gunshot wounds, the Post reports that her autopsy documented up to 13 shots, eight of which were perforating wounds, two penetrating wound and three superficial wounds. As of now, no arrests have been made in the case. Police are offering a $20,000 reward for information leading to an arrest in her murder, in addition to two other murders that occurred in Rowan County that night.